The Simon and Schuster website has been updated with an excerpt from the forthcoming Typhon Pact e-novella, The Struggle Within. If you click, here, you can read the whole first chapter and the start of the second. I'm really excited about this release, less than a month away now, as it continues the Typhon Pact arc, features some of my favourite characters (Picard, T'Ryssa Chen and Jasminder Choudhury), is written by one of my favourite authors, and touches upon real world current affairs it seems. 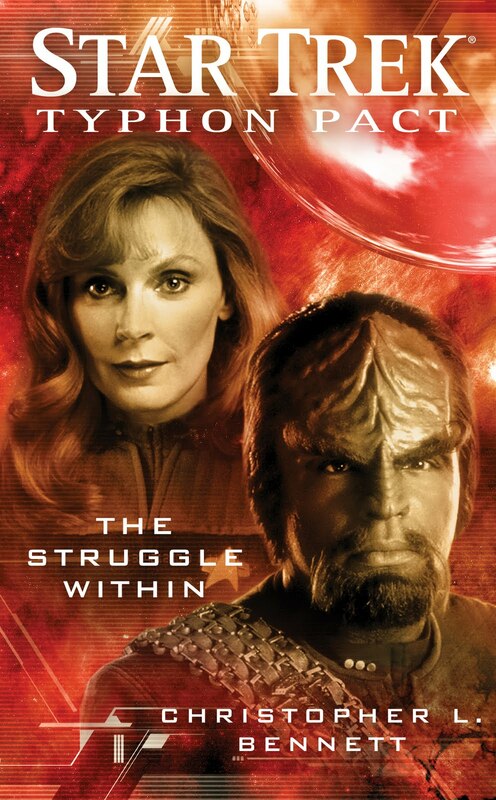 Moreover this is an exciting experiment; if this ebook is a success I can't imagine their won’t be more, which means more story telling opportunities in the Trekverse, win! BTW, can anyone find this listed on Amazon UK? It refuses to show up for me. Nope, can't find it on .co.uk either. I tried searching by name, author and ASIN, but nothing. Strange, as it is listed on .de and usually they have the same books as .co.uk. For some reason it never shows up on searches on .com either for me,but I Know there's a listing for it there, I just can only get to it from my previous links! I hope it shows up in the uk soon, I want to get this! It has finally appeared on Amazon UK today (I haven't been able to find it for quite some time either, nor on .com, where it has also shown up).